I’m glad that plagiarism raised its ugly head. As a former journalist and current writer, there is no greater sin than stealing someone else’s words. Unfortunately, the internet has made it so easy to copy words, pictures, music and other intellectual property that most people don’t give copying a second thought. They copy first and ask for forgiveness second. When you think about it, quoting someone else actually gives the statements MORE credibility! The strangest case of plagiarism that I’ve personally witnessed was when I interviewed someone on my teleseminar and she actually quoted me without realizing it! I was too polite to point it out, but I realized that quite a bit of my work has been repeated by so many people that it has seemingly become part of the public domain! So why don’t you look at your material and see if you are inadvertently using someone else’s words? 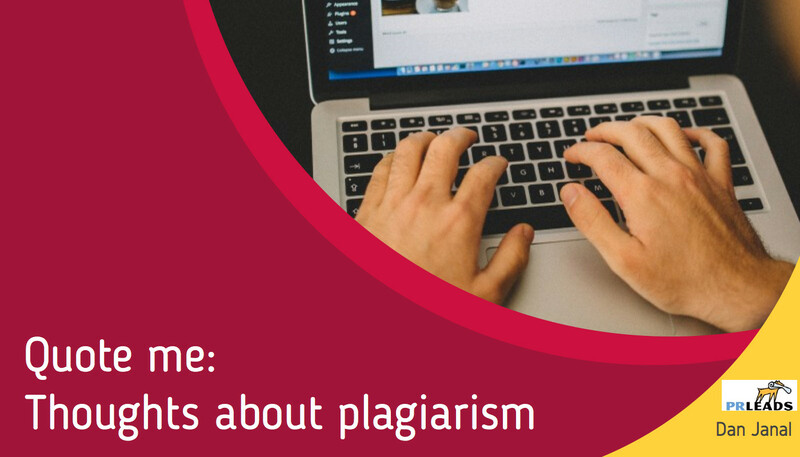 Here are two programs that university professors use to catch plagiarism in their students’ works. You should run your speeches and articles through these programs as well to see if something you heard 10 years ago from a sage has suddenly appeared in your works and you are claiming it as your own.